One app for all your Chats & SMS. Awesome chat across Facebook, Google talk, with free SMS around the world. Talk.to is a FREE multi protocol instant messaging (MIM) platform that lets you chat with your friends across Gtalk, Facebook, and even send free SMS to your contacts, anywhere in the world. Awesome features like using your existing accounts to start chatting, Free SMS, Persistent groups across Facebook & Google talk, read and delivery notifications and unlimited chat history. fTalk - The best Facebook chat messenger. 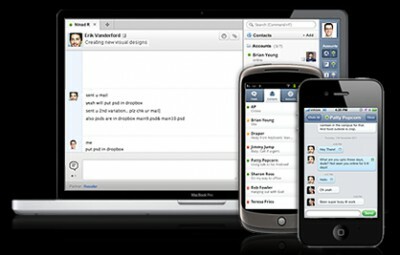 Chat right on your desktop - FREE!